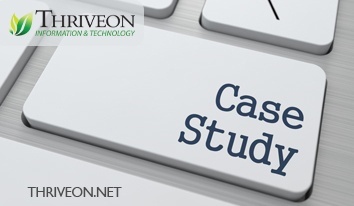 New Ulm, MN 8/24/2016 – Thriveon, a managed IT services company that serves businesses throughout Minnesota, has published a new case study highlighting their work with independent healthcare organization, Sleepy Eye Medical Center (SEMC). Since 2008, SEMC has partnered with Thriveon to navigate through a digital transformation that has been crucial to its ability to use technology to improve and expand patient care, while meeting needs for cost management, scalability, compliance requirements for HIPAA, and day to day support. CEO and Administrator, Kevin Sellheim, has worked closely through the years with Steve Bloedow, who has provided business level IT leadership in the role of vCIO for SEMC. Through participation in planning meetings and close communication throughout the year, Thriveon has made recommendations that have helped SEMC make sound IT decisions that have enabled the organization to meet goals for growth and adoption of new technologies.